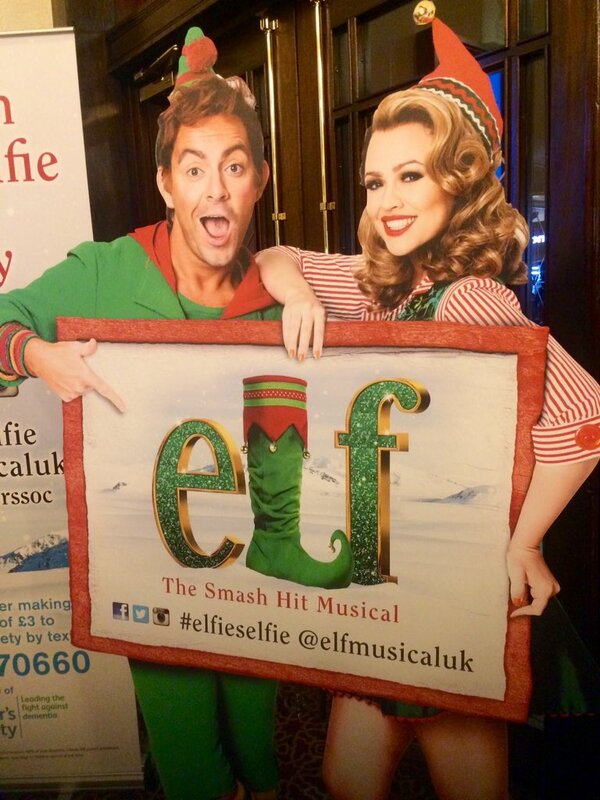 Elf at the Dominion is the highly anticipated seasonal musical based upon the hit Will Farrell movie. As you enter the theatre you are greeted by a selection of Christmas decor which somewhat feels like you have just walked into the famous Plaza Hotel’s reception. With the show having such a buzz about it, I was somewhat excited to see how they had transformed the movie into a musical. As we took our seats and the show began, it was time to see wether or not this show would make me feel in the Christmas spirt. For a fairly pricey show, I was surprised with how basic some of the set/transitions were. I mean in the theatre itself, it wasn’t actually decorated like the foyer to fit the theme which sort of took you away from the Christmas feel. I feel a lot of the time they relied on the projection screen at the back of the set to make up for the lack of actual props. That disappointed me as I was expecting to be amazed by the attention to detail with the craft of the set. Another thing that I must point out is the fact that the show features a lot of adult humour, which I did find funny but with the feeling that it is meant to be a family show, I don’t think it appealed to the younger audience. As I looked around, it was clear to see that many children weren’t really connecting as much as I thought they would. This wasn’t the case throughout the whole show as their was highlights which were more intriguing, I just think that is an element that could have been more focused on. For me, the more positive elements of the show were firstly the music. To be able to create a full score for a show that in the original movie version, doesn’t feature a soundtrack is impressive. It is a fun, lighthearted range of songs which do make you feel joyous. Vocal abilities from both Ben Foster, Kimberley Walsh and the ensemble cast also very impressive. The show also redeemed itself with the last scene by having snow falling on the audience and Santa on his sleigh flying around and coming slightly out of the stage which was a great illusion. You can see that the budget all went on that. Probably why the above wasn’t as impressive. As mentioned before, the two leads are West End star Ben Foster and former Girls Aloud member Kimberley Walsh. They do make a special pair and seem to gel very well together as a duo. Ben is very impressive in the show as he mirrors the same mannerisms that Will Farrell has in the movie which in hindsight is what people want t see come to life. There was also a fabulous ensemble member who played the receptionist who absolutely made the show. She was energetic, funny and just what I wanted to see. Overall, I feel that my review is quite mutual. Personally, the show lacked that extra something special that I thought it would have but I also feel that it did do the film fair justice. 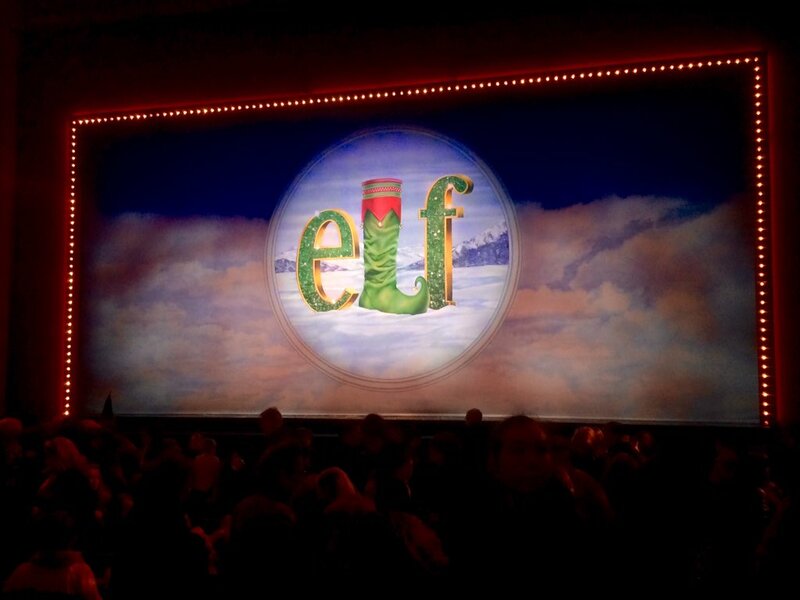 If you’re looking for a Christmas night out at the theatre I would suggest seeing it but I don’t think it’s the greatest show for younger children. That being said I am glad that I got to see it and I thank Matt for the hospitality.